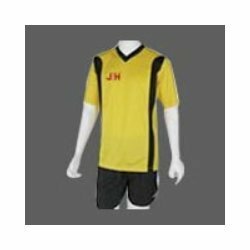 We are listed among the most dependable Sports T-Shirts Exporters and Suppliers in India. Our Sportswear T-Shirts are tailor made so as to provide so as suit the specific requirement of the customers. Moreover, the use of excellent quality fabric in the manufacturing of the Designer Sports T-Shirt also ensures inexplicable comfort and softness. The company is a major Manufacturer, Exporter and Supplier of Cricket Polo T-Shirt in Meerut. 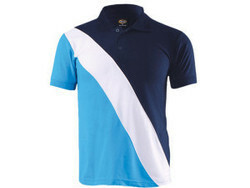 The Cricket Polo T-Shirts, offered by the company, are comfortable as well as sweat-absorbing Cricket Wear. Absolutely skin friendly and comfortable, our range of T-shirts is designed for sports wear. These T-shirts are available in variety of colors and design. We provide complete customization facility in which clients can opt for personalized design, message, logo, graphics etc. We offer an excellent range of T-shirts that are light and comfortable to wear. Made from quality fabrics, these T-shirts absorbs the sweat during the long play. These T-shirts can be availed in variety of designs and color combinations.